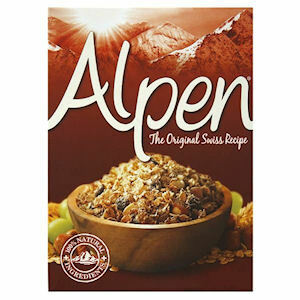 Alpen's claim to fame is that it was the first Swiss Muesli to enter the UK market, in 1971. A senior exec at Weetabix discovered the recipe while on holiday in the Alps and brought it back with them! Get everyone in the office off to a healthy start, with cereal bars, individual portions or the original packs - all available at Zepbrook. 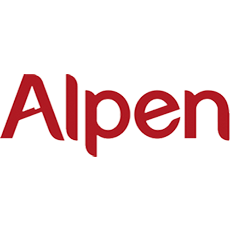 Get your Alpen cereal from Zepbrook tomorrow: order before 5pm if you're in London (or the M25 area). Do you need cereals that are not currently listed on our website? Contact us - we can source and deliver many other products for a competitive price. Call us now on 020 8752 0110 or enquire online. Juicy raspberries, creamy rolled oats and crunchy wholegrain wheat flakes dipped and drizzled with a delicious yogurt flavour coating. Snacking at its peak. 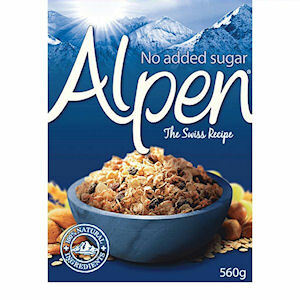 The delicious Swiss taste of Alpen but with no added sugar. 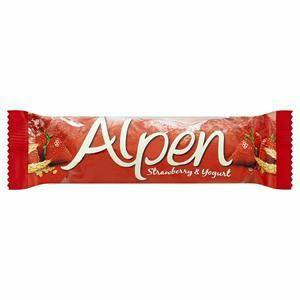 A cereal bar containing apple and juicy strawberry, drizzled and dipped with a yogurt flavour coating. 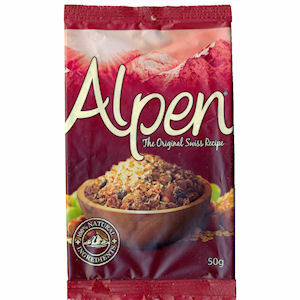 The original and delicious taste of Alpen. 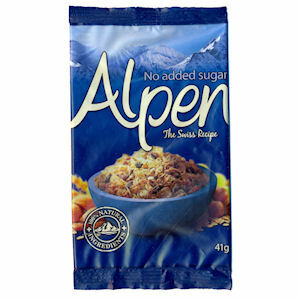 The delicious Swiss taste of Alpen but with no added sugar. Comes in 30 portion sized packets. 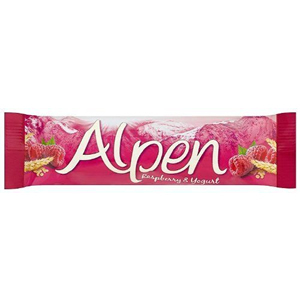 The original and delicious taste of Alpen. Comes in 30 portion sized packets.